Dr. A. N. Alain, M.D., FAAD, CPC-D is a US Board Certified Dermatologist who has received national recognition as a Top Dermatologist. As published and seen on WebMD, Medscape, Emedicine, and MedicineNet, Dr. Alain provides expert dermatology care to clients in Orange County and Southern California. 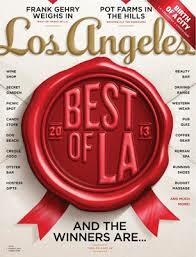 Dr. Alain was selected as a SuperDoctor for 2013-2017 and recognized in Los Angeles Magazine. Jan 24, 2014 by Laurie P.
Dr. Alai is a wonderful person and excellent physician. I absolutely love her work ethic and personality. She is always prepared to do her work and exceptionally thorough beyond any other dermatologist I have seen. I was thrilled with her work, professionalism, and incredible results. I had read reviews about being the experience with her procedures being painless, and I am please to report it was PAINLESS! My wait was under 10 minutes and staff was alright too. I would highly recommend her as a top notch dermatologist. April 11, 2012 by David S. Dr. Alai is the BEST! Thank You! Dr. Alai and her staff have been more than wonderful to us and to an elderly friend that I have brought to her. The whole atmosphere there is nothing but helpfulness and caring. I would recommend Dr. Alai to everyone that I know, she is loving and caring and has always listened to our situations. Thank you Dr. Alai! Dr. A. N. Alain, M.D., CPC-D is a U.S. board certified dermatologist, and former Professor at the University of California, Irvine, Department of Dermatology and Department of Family Medicine. She held a 13 year fellow title of the American Academy of Dermatology. 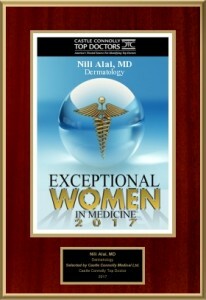 Recently, Dr. Alain was awarded America’s Top Dermatologist Award for 2011 and America’s Top Physicians award for 2010. Additionally, she received the top honor of America’s Top Dermatologists Award for 2007-2008 and 2004- 2005 by the National Research Council. She was re-appointed to serve a two year term as an Expert Medical Reviewer by the California Medical Board in 2010. Dr. Alain was initially elected as an Expert Medical Reviewer for Dermatology and Laser services by the California Medical Board in 2008. She is currently a medical author for WebMD, MedicineNet, and eMedicine. America’s Top Physicians award for 2010. Dr. Alain’s medical background began with a Medical Doctorate Degree in 1994 from the University of South Alabama College of Medicine in Mobile, Alabama. Her undergraduate work included 3 years at the University of South Alabama where she was a Presidential Scholar with High Honors and nominated to multiple scholastic honor societies, including Phi Kappa Phi, Alpha Chi, Alpha Epsilon Delta, and Alpha Lambda Delta. She was subsequently the recipient of the College of Medicine’s Alumni Scholarship for international medicine to Russia in 1994. Dr. Alain completed a full year of General Surgery training at the University of California, Irvine. 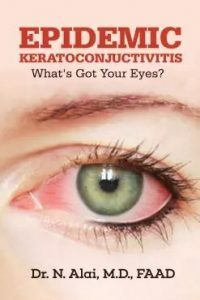 Subsequently, she was involved in a combined research year at Beckman Laser Institute in Irvine and basic science work in treatment and mechanisms of Psoriasis. She was selected as the Clinical Research Fellow in 1996 where she was a lead investigator in the development of many new medications and novel dermatologic therapies. She finished her dermatology residency at UCI, where she was selected as Chief Resident in 1999. Dr. Alai was subsequently invited to join the prestigious faculty at the University of California where she remained active for over 10 years. Dr. Alain’s extensive experience in medical, surgical, laser, and cosmetic dermatology has lead to many lectureships locally, and internationally. She has been an invited lecturer to over 50 certified continuing medical education (CME) lectures nationally and internationally. Her work has included seminars for physician groups, international medical conferences, hospital medical education foundations, and local senior citizen groups. She has been a popular requested speaker for the Medical Education Speakers Network (MESN) since 1999. Dr. Alain was featured as the keynote speaker on dermatologic issues at the Annual Geriatric Congress in San Francisco. She has received multiple awards including the 2000 Award for Outstanding Slides and Lecture in Vancouver, Canada at the Pacific Dermatology Association’s annual session. In 2008, she received the first perfect score rating for outstanding continuing medical education lecture at South Coast Medical Center in Laguna Beach, California. Dr. Alain has been a lead co-investigator for over 12 clinical trials for novel dermatology studies and preparations. Her clinical research work led to the development of the highly acclaimed, celebrity touted anti-aging rejuvenation cream labeled as Kinerase. She was a featured Allergan speaker and trainer for Botox cosmetic injections for Kaiser Foundation Dermatologists in Los Angeles and Orange Counties. 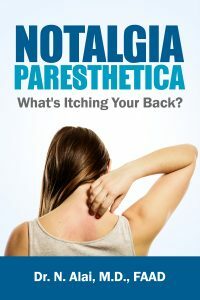 Dr. Alai has published extensively in the medical textbook eMedicine, including chapters on Notalgia Paresthetica, Keratosis Pilaris , Nitrous Oxide, Laser Hair Removal, and Viral Hemorrhagic Fevers. Dr. Alain’s cosmetic interests and specialty dermatology focuses on Mohs surgery, Photodynamic therapy ( PDT), Notalagia Paresthetica, Brachioradial pruritus, Botox, Dysport, Varicose and spider vein therapy, cosmetic facial rejuvenation including injections with Restylane, Collagen, Juvederm, and Radiesse. She is the chairand founder of the annual educational symposium “The Skin Care Conference” held in Laguna California each May. As a fellow of the American Society for Mohs Surgery (ASMS), Dr. Alai has performed more than 1200 cases of Mohs surgery. Her special areas of expertise involve surgical of skin cancer, primarily the treatment of head and neck basal and squamous cell skin cancers. Dr. Alain received extensive Mohs training during the Chief Residency year at the University of California, Irvine. Dr. Alai has been an active participant in the annual Mohs peer review held by the American Society for Mohs Surgery. Most recently, she was invited to author the complete chapter on Mohs Surgery for WebMD/MedicineNet. Dr. Alain is a past fellow of the American Society for Photodynamic Therapy (ASPDT). As a co-investigator for the early development of Photodynamic therapy (PDT) using Levulan and Blue Light in 1996, she has some of the most longstanding clinical experiences with this state-of-the-art treatment. In her nearly 20 year experience with PDT, Dr. Alai has been involved in more than 1500 cases of PDT . Her particular areas of expertise include treatment of acne, actinic keratosis, warts, hidradenitis suppurativa, and skin rejuvenation using PDT. She has authored the chapter on Photodynamic Therapy for WebMD and MedicineNet. She received extensive PDT training during her fellowship year at the University of California, Irvine Department of Dermatology. Some of the most longstanding clinical experiences with state-of-the-art PDT. Authored the chapter on Photodynamic Therapy for WebMD and MedicineNet. As a member of the National Psoriasis Foundation, Dr. Alain has more than 15 years of extensive experience treating psoriasis and psoriatic arthritis. She initially trained with Dr. Gerald Weinstein, a world renowned psoriasis expert at the University of California. She gained experience in novel treatments as co-investigator for multiple psoriasis clinical trials. 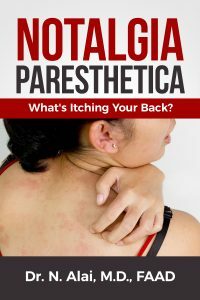 She was most recently asked to author the comprehensive chapter on Psoriasis for WebMD and MedicineNet. Dr. Alain is a former professor at the University of California. She was active as a faculty member at UCI for over 10 years in educational lectures and training upcoming future physicians and dermatologists. She was a frequent invited lecturer in the departments of Internal Medicine, Family Practice, and Dermatology. Dr. Alain has been a highly requested preceptor and mentor for several Family Medicine Residencies including Downey Medical Center and University of California, Irvine. She has authored articles and published several textbook chapters in the current medical literature. Dr. Alain is a highly trained dermatologist and dermatologic surgeon, and a respected specialty consultant in Orange County. Dr. Alain has been in practice for nearly 20 years in Southern California. She actively practices dermatology at The Skin Center in Orange County, California. Doctor was very professional, listened and took notes on every detail. I would recommend her for any skin problem. I always have excellent treatment. Amazing physician and staff are wonderful. Wonderful treatment excellent care! Staff is friendly proffessional & caring. Painless as possible! I had a procedure done by doctor Alain and expected a lot of pain and terrible scar. Luckily Dr. Alain made it as easy as possible and I’m very happy with my end result. Contact Dr. Alain at The Skin Center @ (949) 582-7699.